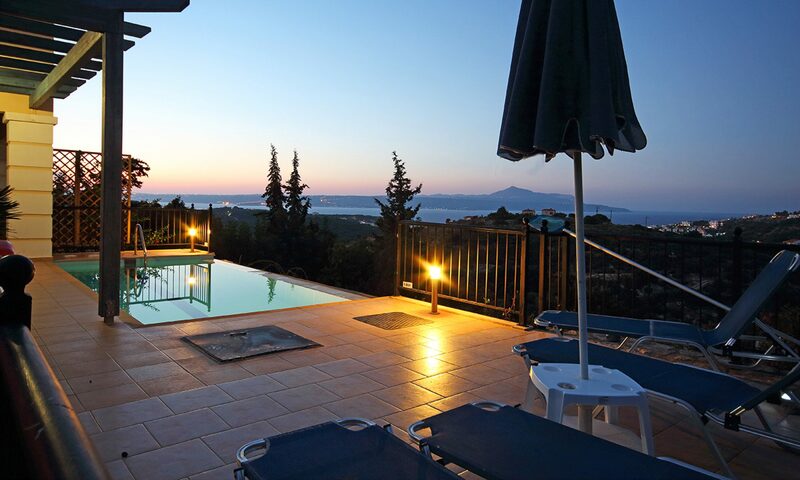 Crete, The biggest of all the Greek Islands, covers an expanse of approximately 3,220 square Mls. Walking in Crete is gaining in worldwide recognitionas an activity holiday location, a result of the islands mountainous terrain. The White Mountains in western Crete provide exceptional views. It is possible to walk in Crete at any time of year. The island of Crete offers you plateaus like Lassithi, Omalos and Nida. Also caves to discover like Ideon and Dikti, and several gorges, adding to Crete’s impressive scenery. Crete definitely is at its best in the spring, once the island offers an abundant covering of wild plants. Over 2 000 kinds of flowers bloom on the island, 150 varieties being endemic. the whole of the island, which consists of mountains, woodland, plateaus and gorges, also the seashore gets a covering of wild flowers. Daisies, irises, Poppies, orchids, oleander and hyacinths are sure to be seen while you are walking Crete. Wild mountain herbs fragrance the air using pungent aromas, rosemary, sage, thyme, oregano, and definitely the Cretan love herb dittany. There are many different levels of walking in Crete because of its different landscape. Chania and its nearby area is extraordinary in springtime, it boasts beautiful scenery. Towards the south of Chania you will discover The Samaria Gorge. The gorge is breathtaking, it includes vertical cliffs 500m high and it’s also an impressive 16km long. Within the gorge you will observe and smell the rare varieties of Cretan flora, cypress trees, dittany and various herbs. Some other gorges while in the area that you might wish to visit are Agia Irene, Stakia and Topolia gorges. Topolia can be described as spectacular and dramatically wild gorge, and Agia Irene is abundant with lush vegetation. Either gorges are stunning in the springtime, and the scenery is much prettier when the wild flowers will be in bloom. The highlight for the Chania region would be the White Mountains, with their rugged grey peaks, veined with the white contrasting stone, endemic wildflowers and wispy cloud topped snowy peaks. But its its not all mountain walks, you can even explore the numerous caves that can be found down the coast, or just have a gentle wander across the beach, experiencing the balmy water lapping at your feet, as well as sand between your toes. WALKING IN CRETE Crete, The biggest of all the Greek Islands, covers an expanse of approximately 3,220 square Mls. Walking in Crete is gaining in worldwide recognitionas an activity holiday location, a result of the islands mountainous terrain. The White Mountains in western Crete provide exceptional views. It is possible to walk in Crete at any time of year. The island of Crete offers you plateaus like Lassithi, Omalos and Nida. Also caves to discover like Ideon and Dikti, and several gorges, adding to Crete’s impressive scenery. Crete definitely is at its best in the spring, once the island offers an abundant covering of wild plants. Over 2 000 kinds of flowers bloom on the island, 150 varieties being endemic. the whole of the island, which consists of mountains, woodland, plateaus and gorges, also the seashore gets a covering of wild flowers. Daisies, irises, Poppies, orchids, oleander and hyacinths are sure to be seen while you are walking Crete. Wild mountain herbs fragrance the air using pungent aromas, rosemary, sage, thyme, oregano, and definitely the Cretan love herb dittany. There are many different levels of walking in Crete because of its different landscape. Chania and its nearby area is extraordinary in springtime, it boasts beautiful scenery. 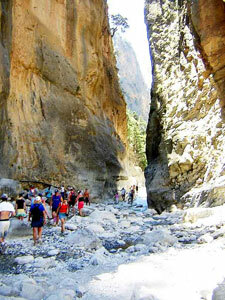 Towards the south of Chania you will discover The Samaria Gorge. The gorge is breathtaking, it includes vertical cliffs 500m high and it’s also an impressive 16km long. Within the gorge you will observe and smell the rare varieties of Cretan flora, cypress trees, dittany and various herbs. The gorge just happens to be home to the wild goat of Crete, (kri kri), Some other gorges while in the area that you might wish to visit are Agia Irene, Stakia and Topolia gorges. Topolia can be described as spectacular and dramatically wild gorge, and Agia Irene is abundant with lush vegetation. Either gorges are stunning in the springtime, and the scenery is much prettier when the wild flowers will be in bloom. The highlight for the Chania region would be the White Mountains, with their rugged grey peaks, veined with the white contrasting stone, endemic wildflowers and wispy cloud topped snowy peaks. But its its not all mountain walks, you can even explore the numerous caves that can be found down the coast, or just have a gentle wander across the beach, experiencing the balmy water lapping at your feet, as well as sand between your toes..